Attendee List: Board Members in attendance: Michele Co (Secretary), Ted Gayle (Treasurer), Will Sanford. See end of document for full list of attendees. Thank you to everyone who is contributing to the growth of the club. We accomplished a lot in 2005 and look forward to making more progress in 2006. A special thank you goes to those who purchased memberships at higher than the basic level and to those who have made anonymous donations for trail tools. See something listed you want to help out with in some way? Have ideas you want to suggest? Michele Co, Mary Jane Strickland, Francis Schmit, Will Sanford. Won a $500 Grant sponsored by IMBA and Clif Bar to build a new informational kiosk at the Walnut Creek Park trailhead. Attended national and state advocacy events such as the 24 Hours of Washington, DC lobbying day, meetings about Virginia’s Outdoor Recreation Plan, and Virginia Greenways Conference in Richmond, VA.
45 current members, 61 non-current members (memberships expired). Renewal notices going out this month. 3 new members signed up at club meeting. Welcome to Jeff Elmore, Kristin Link-Ullrich, and Bill Ullrich. Donation box. Suggested that a donation box be constructed and brought to group rides, possibly longer group rides if it doesn’t make sense for some rides. o Their stickers are bigger, and people will have a better chance of seeing what the sticker says. o SOS can use the format of the CAMBC logo the way it is (JPEG). Blue Ridge wanted a different format from JPEG. o Most of the people at SOS are mountain bikers, members of the SMBC. o CAMBC can make an additional $35 by purchasing from SOS, due to the cheaper price. 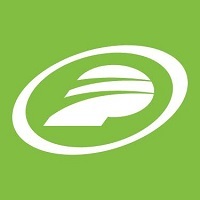 Publicizing Regular Rides and TAKMBD. 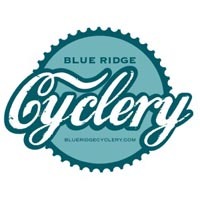 Several people suggested publishing notices of our regular rides and Take A Kid Mountain Biking Day in various free publications/websites including (not limited to) Computers4Kids, local schools, C’ville and online community calendars. Douthat group ride. Idea for a Douthat group ride/weekend suggested. St. Patrick’s Day? April Fools’ weekend? Take a Parent Mountain Biking. Family-oriented ride idea. 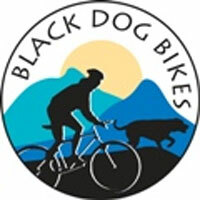 Take a Dog Mountain Biking. Dog-friendly ride idea. IMBA/Clif Bar Grant. Will Sanford reported that money has been received. CAMBC plans on giving money to Albemarle County who will perform the building of the kiosk with matching funds. Albemarle County is currently in the process of soliciting bids for the work. CAMBC Brochure. Jay Dicharry designed brochure passed around for members to review. Some comments/suggestions for changes have been gathered. Those in attendance liked the design, had some text revisions. Bylaws & Incorporation. Julie Jackson updated the club. CAMBC now has established bylaws and articles of incorporation and will be filing for incorporation soon. Eventually, the club may try to file the official 501(C)(3) paperwork (Form 1023). Julie says that if the club has less than $5000 annual gross receipts, we do not need to file the paperwork and we are automatically exempt if we meet the 501(C)(3) requirements. Advertising. 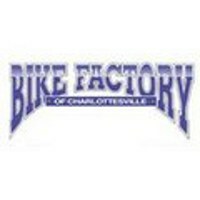 Will and Ted reported that CAMBC now has sold 2 advertising spots on the club website to C’ville Bike & Tri and Bike Factory. These ads are now posted on the cambc.org website. Please thank these shops for their support of CAMBC when you go in to visit them. 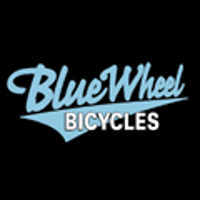 Other local shops, Blue Wheel Bicycles, Performance, and Basic Cycles (now out of business) were also approached. 810 Byrom Park. Will and Al Inigo (via email) reported that the Byrom Park project is still held up by lack of an entrance area that complies with VDOT visibility requirements. Negotiations with Byrom family and adjacent landowners has begun. Freeride Area in Walnut Creek Park. Will mentioned that there is some interest in developing a freeride area in WCP. Jeff Elmore expressed interest in pursuing/getting involved with this. Work UVA Race as volunteers in exchange for donation. Will talked with Page about the possibility of a donation in exchange for CAMBC volunteers at the 2006 O-Hill Meltdown. Page agreed. Leading ride for UVA Outdoor Social Club in exchange for donation was suggested, but no outcome decided. Club stickers. Clint Barnett re-raised the stickers idea. See previous summary under Club Gear idea.